hope you're ready for a super long post! My sister had a volleyball tournament down in Calgary this past weekend, so I thought it would be a perfect reason to head out of town to watch her games, go shopping, and most importantly scope out some good eats. This whole week in Edmonton was nice and sunny, most days without a cloud in the sky. Woke up on Saturday morning to head out of town, and I was devastated. White winter wonderland outside, huge snowflakes falling from the sky. How the heck did that happen? Well, I guess I shouldn't be surprised, since this is probably the fourth time Winter has struck again in the past month..
We packed up our bags and snacks for the road, and headed down the QE2 towards Calgary. Road conditions actually weren't bad, there was blowing snow on the road itself *I got headaches from watching the waves of snow*, but it wasn't icy or anything. It was just impossible to see anything ahead of us, so it was pretty dangerous! A little past Red Deer, things started to look up, and the sun peeked out from behind the clouds, leading the rest of the way into town. 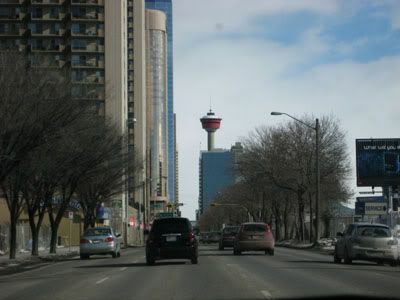 Once we got to Calgary, there was not a cloud in the sky, nor any signs of snow - amazing. It's so fascinating to see what a difference there is in the weather between our two cities. A 300 km distance separating two extremes of weather. 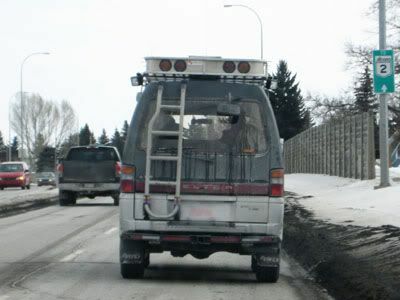 Well, that's Alberta for you. 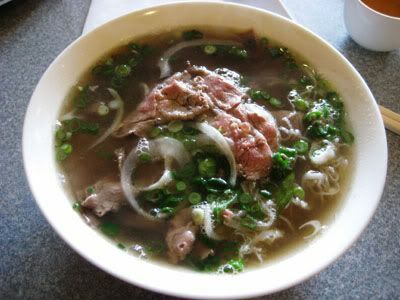 We headed straight towards the downtown area, picked up our friend Alex, then zoomed back towards Chinatown cause I was on the search for one of the top rated Pho restaurants on Urbanspoon - Pho Pasteur Saigon. Vince and I had been here previously two years back, and we thought the place was gross. 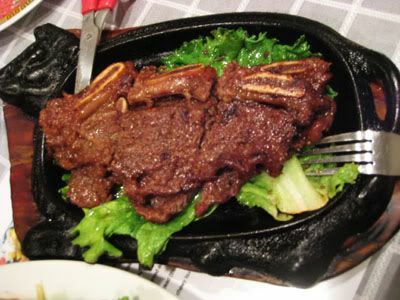 The beef was poor quality, service non-existent, and the broth really lacking in flavour. But it really boggled my mind.. how on earth is it possible for me to absolutely hate a restaurant, while it has a rating of 98%? I had to retry the restaurant for myself, so I dragged Vince along while he kept telling me I was going to regret my decision. I ordered my usual pho with beef & tripe, and it looked like it would be tasty! The broth was flavourful, and the portion was a generous size, but it wasn't all that special for me. Definitely a big improvement from what we had experienced on our first visit, but this is probably going to be our last. Also, the restaurant is cash only, which was annoying because I never have cash on me :( Pho Hoai in Calgary is still going to be my go to place here - it's like my comfort food! After lunch, we headed north of the city towards the Crossiron Mills outlet - nothing interested me :( Does anyone else find that Crossiron isn't really an outlet mall? I mean, they have a couple of outlets, but nothing is particularly cheap, and it's full of a lot of retail stores anyways. Sad, sad shopping day. 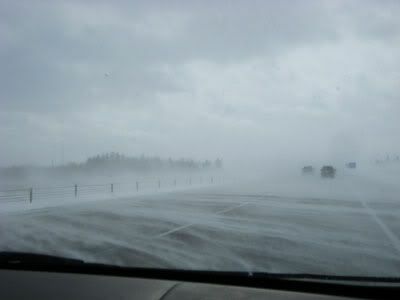 Heading back out to the car, it seemed like the blizzard in Edmonton had finally caught up to us. There was a huge snow storm outside of the mall, and it was getting slushy everywhere! Everything was pretty much melting once it touched the ground though, so I still had hope for good weather! 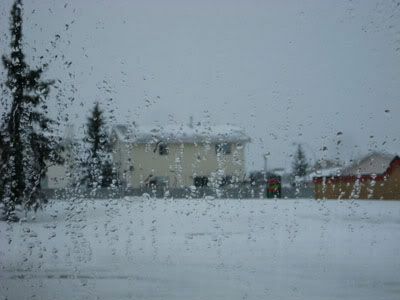 Once we were back in Calgary, there was absolutely no snow whatsoever. Alberta weather is so weird. Snow one minute, and sunshine the next. It's absolutely impossible to predict what's going to happen next.. so frustrating. 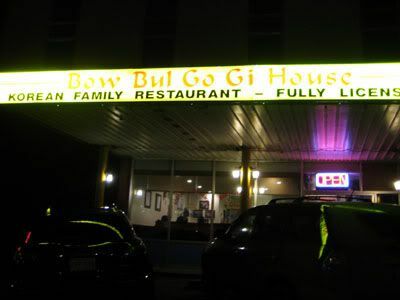 Anyway, for dinner we headed over to a cosy little Korean restaurant called bow Bul Go Gi House. 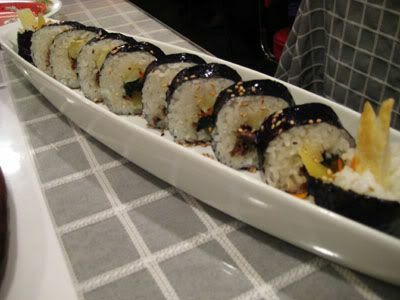 This is another top rated restaurant on Urbanspoon, so we had to check it out! Once we stepped inside, it smelled like Korean BBQ - they need some better ventilation in there! We were seated right away because I had made reservations *highly recommended* This place was super busy, and the front was managed by the owner and one waitress - kudos because they really kept the restaurant under control. They had a pretty small menu to choose from, but we went with the usual - jap chae, bulgalbi and kim bab. Mm, yum! 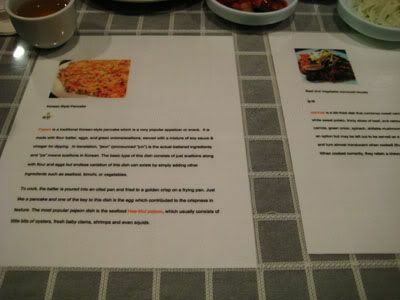 The table was decorated with informative guides to two Korean dishes, explaining what they were and how they were made. This is great for newbies to Korean food, because a lot of the time, the menu is just the names of the dishes with no explanations! 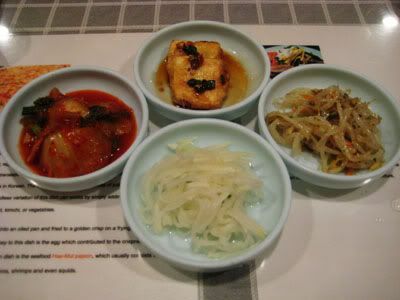 Our order came with four side dishes (banchan) consisting of kimchi, pickled radish, beansprouts, and fried tofu. The fried tofu was especially yummy, because it was very crisp on the outside, and soft on the inside, while balancing salty and spicy flavours in the sauce. 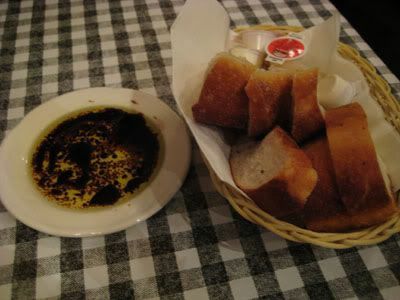 I believe this dish can be ordered on its own, try it out if you have the chance! The food we had was fantastic! Everything arrived piping hot (in the case of the ribs, sizzling), and was cooked perfectly. The ribs were seasoned very well, very juicy and tender. 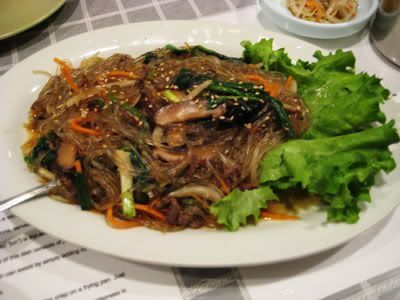 The jap chae noodles didn't clump together when cooled, and had a great ratio of noodles to vegetables. The kim bab was presented beautifully, and tasted very yummy. All in all, I really recommend this place! But the prices were a bit on the expensive side. With tip, I think we paid $55 in total for the three dishes. It's definitely reasonable, but we've been to other Korean restaurants in the city, where $50 is going to bring you 5 dishes! Crazy, right? I love Calgary!! After watching my sister play for the day, her team ended up with silver in the tournament. Both teams played very well in the gold medal game, but there can only be one winner. Oh well, next time! I'm excited for her next tourny in Calgary, cause I know I'll be heading down for some more good food! Has anyone here in Edmonton checked out bookatable.ca?. I know it sounds ridiculous, but contrary to what you might be thinking right now, this is NOT a website where you make a reservation for a restaurant! Book a Table is actually a group of 10 restaurants that have come together, trying to showcase some of Edmonton's best dining in one place. It's a really neat site, and when you sign up using your email, you can receive a $25 gift certificate that can be used towards any of the ten participating restaurants! Sweet deal, right? When certain occasions are coming up (for example, Valentines Day), the restaurants in the community send out emails about special offers, or the featured menu for the night. I've been telling a lot of friends about this place, and it's legit! I can vouch for it because I used my gift certificate today. We decided to head to Sicilian Pasta Kitchen in the southside of Edmonton, cause it's one of the restaurants that I live closest to. 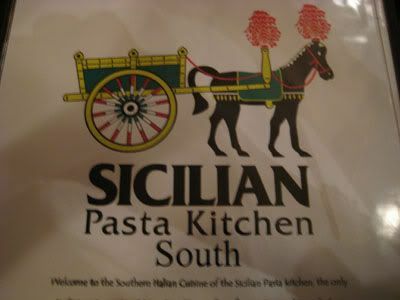 Sicilian has never let me down, and they've always served great pasta and desserts! Knowing that I would opt for dessert at the end, we passed up appetizers and ordered our entrees. Vince picked out the "Piatto Assortito" which was a feature of the night, showcasing two different pasta dishes. 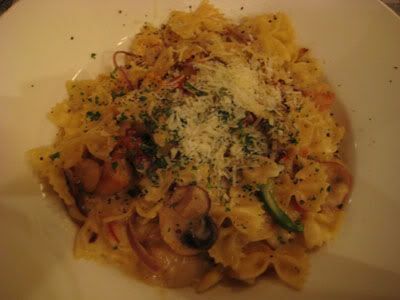 I went for the "Farfelle Con Gamberi E Cappesante", which was a bowtie pasta with jumbo cajun seasoned tiger shrimp and scallops, with peppers, mushrooms and onions in a garlic cream sauce. 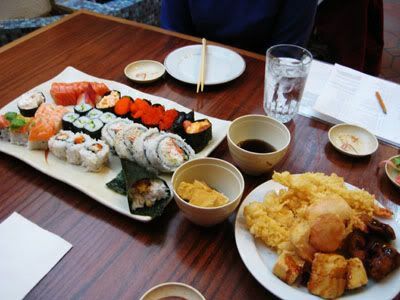 Once the dishes arrived and we tasted them both.. we ended up trading with each other! 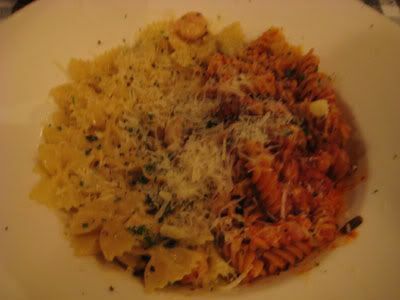 I ended up with the feature pasta of the night, which was a mix of two different half servings of pasta. One half was a farfelle pasta in a saffron garlic cream sauce, while the other half was fusilli in a garlic tomato sauce. The fusilli to me was rather boring, and something you could easily cook up at home. The farfelle, however, oh man, it was so good! The sauce was flavoured perfectly, with the garlic infused into the cream. Mix this with al dente pasta, and finish with freshly grated parmesan? To die for! Vince's farfelle was good as well, but I just favoured the garlic flavour in my dish more. I'm not a huge fan of scallops - to be honest, I think I ordered the other dish originally because of the word "cajun", thinking it would taste like jambalaya! I am terrible. But at least Vince enjoyed it - he loves seafood! We finished off dinner with their tiramisu - when I saw it (to my horror) it looked like there were lady fingers in there!! 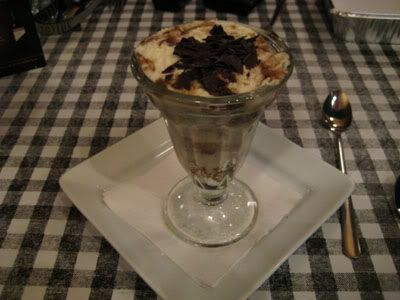 Ack, I really hate those things, they shouldn't belong in tiramisu. But the tiramisu was so delicious that I couldn't tell they were in there - that's when I know I'm eating something really good! Make sure you guys go get your free gift certificate! 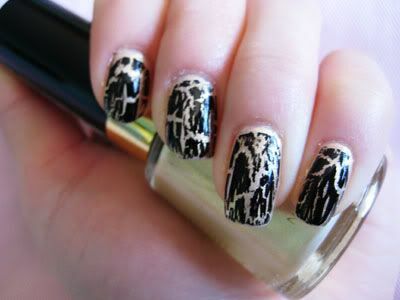 Played with my black shatter again this week since I had the weekend off work! 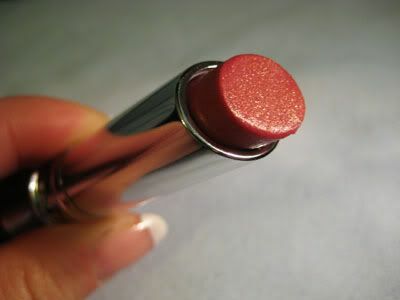 I paired it with a shimmery gold polish underneath from Revlon - Gold Get 'Em - really pretty. Reminds me of a cheetah! I still haven't had the chance to check out their full range of offerings (wow if I did I think I would be sooo heavy! They have so many different food choices!) 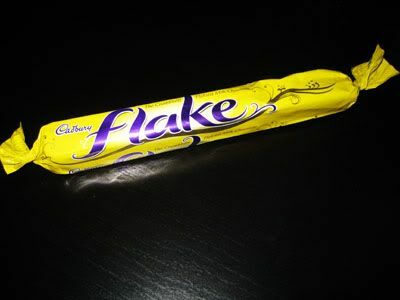 but I was craving something sweet, and I knew just the trick! Condensed milk toast. Usually, I love the HK style french toast, covered in condensed milk. It's light, crisp on the outside, and fluffy on the inside, and perfect in sweetness, making it a really nice afternoon treat. However, the one I got at tasty choice was on the heavy side, unfortunately. 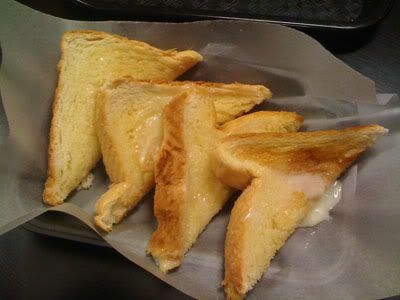 Four triangular pieces of toast were first buttered, then covered in condensed milk. Normally I would like this, but the toast was soaked in butter! :( It was very heavily coated with butter, making it soggy and kind of on the salty side. So sad! They were more than generous with their condensed milk though, which was nice cause some places hardly give you any condensed milk. The second night we went was after work, so I didn't have to feel guilty about taking calories in after a workout! 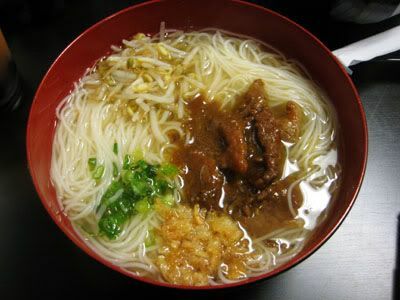 I was pretty hungry, so I went with the satay beef noodle soup - one of my favourite things to eat when it's cold out! The one that they cook here at Tasty Choice is pretty good, it's a very big bowl of noodles which reflects its great value. However, I do wish there was a bit more beef in it! The satay flavour could also be a bit bolder, because the combination of the soup washes out the flavour a little. 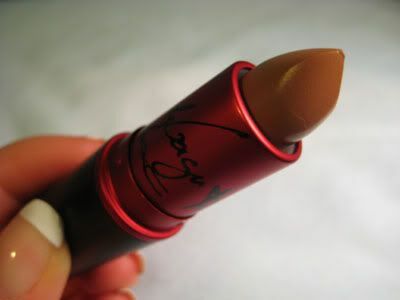 I have to admit, I am a makeup addict. It's not even like I use it very much, I just like to hoard and have it, I think. There's so many products sitting on the shelf in my room that are still untouched. So sad. 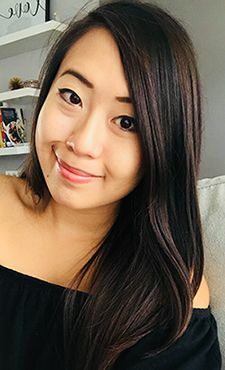 I'm pretty minimal with my makeup routine on a normal basis *concealer, brows, eyeliner & mascara* which makes it even harder to incorporate anything into my usual routine! Anyways, just to continue on with the trend, I picked up a couple items this week! 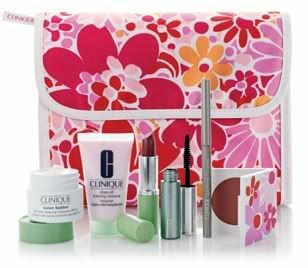 Starting this week, Clinique was offering a beauty bonus for any purchase over $26.50. You know I love my deals, so I was automatically drawn into this since the gift was valued at over $70. Long story short: Sephora SA's screwed me over by ensuring (key word here) me they wouldn't receive this blush in store at all, so I searched high & low in pursuit of it, and ended up paying about double it's retail value. 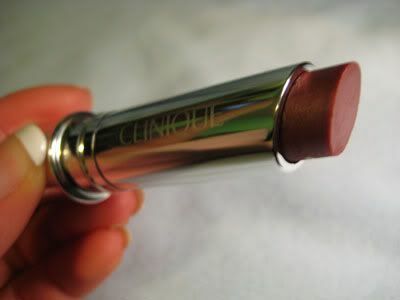 I loved the design on the blush, and just had to have it. On the day I ordered it *in the morning*, I went shopping with my mom and sister in the afternoon, only to find out that my local Sephora had it in store!! Seriously, what the heck. So I bought a second one, just so I could keep one to look at (hoarder right here!) The hearts design in the blush is so cute, and I love the pinks and corals mixed together. Upon first swipe, a ton of the gold powder came off, and I had to get rid of it before I was able to apply, or else I would be soooo gold & sparkly! 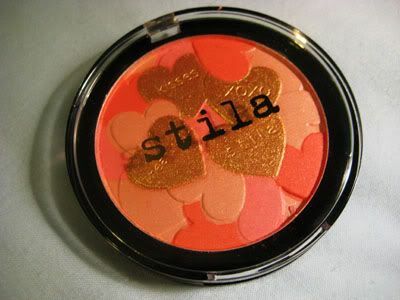 Otherwise, I love this blush and it's adorable! 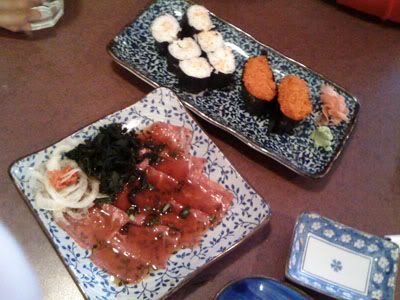 On Saturday, Vince had to drive me to work, so we decided to go to Ichiban, one of our familiar lunch spots. 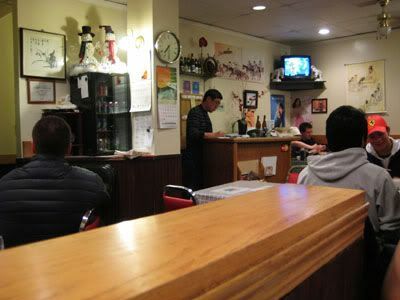 When we arrived, the restaurant was getting pretty full, but we did get a seat right away in a booth. The beef tataki ponzu sauce was SOOOOOO salty. I can't stress enough how salty this was. I felt like I was licking salt granules. I don't know what happened when they were making the sauce.. maybe doubling the amount of soy sauce? 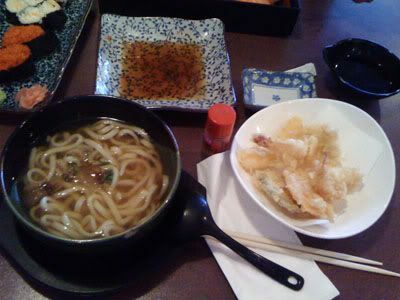 Onto the tempura udon, the soup was bland, and lacking the depth and flavour that should be there in dashi stock. On the bright side, the tempura was cooked very well, and the oil used was very clean! Lucky for me, my tobiko was fresh - dodged a bullet there. Vince on the other hand didn't have as much luck. The rice was horrible. Super soggy, and felt like it was on it's way to becoming congee. We thought that maybe the rice for the bento had been overcooked, but we were wrong. The rice inside the sushi was the same. I don't even know how the cooks were able to prep anything with this rice, it wouldn't have been easy to spread it on the nori..
Is this place going downhill? I sure hope not. I like going here for lunch once in a while, so I'm hoping this was just a really off day for them. 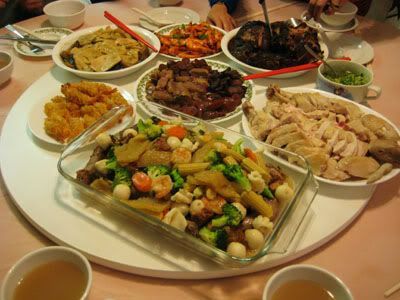 One of my best friends is closely affiliated with the management at this restaurant, and she said that their owners are currently overseas in Asia, and they usually supervise the cooking and preparation of the food. Now that they're gone, things have gone wary - but really, should it be this bad when cooks aren't being supervised? I don't understand. Hopefully the next time I'm there (far from now, I'm sure), things will be improved! This past Valentine's Day, I spent it studying for my midterm the next day.. boo. I was also babysitting a little boy that night, so I guess I wasn't completely alone, haha. So this Friday, Vince picked me up from school and brought me a little surprise! 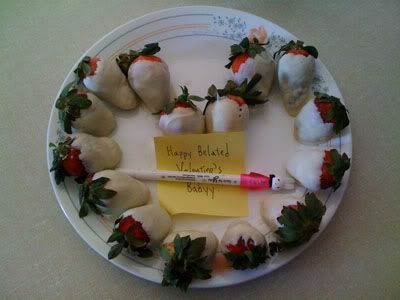 He knows I love chocolate dipped strawberries, so he made some for me, and picked up a cute little pen as well. Good try on the heart, its a little asymmetrical, but that's okay cause the real human heart is like that too! The pen writes so well, oh my goodness. I gotta get me some more! It's the year of the rabbit, Happy Chinese New Year to all of you that celebrate it! Hope you guys found time to spend it with your family!